Eve is a carer for her father, who has early stage vascular dementia and numerous health problems. She has two children: a son, Matt, who is 17 and has Crohn’s disease, and a daughter, Joanne, who is 15. 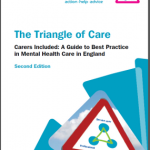 This case study considers issues around being a ‘sandwich carer’ – that is, caring for both a parent and a child – maintaining employment and working with a whole family including family group conferences, as well as the impact of dementia and the role of assistive technology. Eve lives in a town. She has two children, a son, Matt, who is 17 and has Crohn’s disease, and a daughter, Joanne, who is 15. Eve’s mother died four years ago, and her father, Geoff, lives close by. Geoff has early stage vascular dementia and numerous health problems relating to a heart attack he had two years ago. Eve works part time in an administration role at a local college. She has lost contact with her friends and lost touch with her hobbies (swimming and singing in a choir) because she has prioritised her family. Matt is at college studying for his A levels. He is frustrated that his illness is interfering with all aspects of his life. Joanne is becoming more withdrawn and resentful as an increasing amount of Eve’s time is taken up with other family members. Geoff has started to neglect himself at home, and is finding it more difficult to carry out daily tasks. Following a social care assessment, he has a befriending service stop by every week and a homecare team each morning to check he’s ok and supervise his medication, which Eve sets up for them. The care agency have reported that there’s a possibility Geoff has been accessing his medication and taking it. Geoff remains adamant that he is fine, and with Eve’s support he can manage. Eve is feeling stressed and isolated. She wants to increase her working hours for financial reasons, but is unable to as she needs to be available for Geoff. Eve is having problems with sleeping and feels generally run down, and recently has been suffering from stomach pain and nausea. She says that she feels ‘withdrawn from normal life.’ She tried attending a carers’ group but found that listening to other carers’ problems highlighted her own. Instead, she sometimes uses an online forum at night when everyone else is asleep. Eve was recently referred by her GP for a carer’s assessment. You have been out to see her twice and talked to her children. You have completed the assessment and support plan with her. Help me plan so I can do everything! 15.02.74 Evelyn Mary Davies (known as Eve) born in Welsh border town. 12.04.96 Married to Eric Sanderson and moved to Moreton. 26.07.98 Birth of first child, son, Mathew Eric Sanderson. 18.09.00 Birth of second child, daughter, Joanne Rachael Sanderson. 16.09.03 Divorced. Reverted to maiden name though children retained their father’s name. Eve and children remain in the marital home. Eve is proud of how well she has managed, with her part-time post which she enjoys and regular child support from the children’s father. Eve says she was not unduly concerned when initial fortnightly contact between the children and their father began to tail off. The children did not wish to travel to his new location some 50 miles away and he did not make sufficient effort in her view to see them. 03.07.09 Son, Matt, diagnosed with Crohn’s disease which causes him to frequently need the toilet, and have some faecal incontinence. He has relapses causing dramatic weight loss and frequent hospital admission. Eve managed the health care and hospital appointments for her son as well as providing reassurance. Eventual diagnosis indicates a need for longer term health service involvement. Eve values the support of school nurse and feels that physically Matt’s illness is under control more now though the stigma and embarrassment of Matt’s illness has begun to take its toll on his emotional wellbeing. 21.01.12 Eve’s mother, Margaret, died suddenly in her sleep having suffered a heart attack. Eve herself is shocked by her mother’s death and describes her father as struggling to cope with his wife’s sudden death. Eve now includes her father’s shopping in her weekly shop, prepares his evening meals, helps with laundry and other household chores, juggling this with her own chores and Matt’s health appointments. 19.03.14 Eve’s father, Geoff, had a heart attack. Hospitalised for two weeks whilst a stent was fitted and his recovery monitored. His heart attack has left Eve’s father with numerous related health problems. Eve begins to manage of her father’s health appointments alongside management of Matt’s. Over the next year Geoff starts to have memory problems. 16.11.15 Eve’s father diagnosed with early stage vascular dementia. Social care assessment undertaken. Befriending service and home care provision arranged. Mixed service with Eve as main carer for her father, Geoff Davies, and some home care and befriending service provision to Geoff now in place. At this time Eve tried attending a carers’ group but found that listening to other carers’ problems highlighted her own. Instead, she sometimes uses an online forum at night when everyone else is asleep. 29.01.16 Eve attends her GP surgery as she is regularly feeling nauseous. The GP asked Eve if she is experiencing more stress than usual. Eve expresses concern that her father has started to neglect himself at home, and is finding it more difficult to carry out daily tasks. He gets confused with tasks like making a meal. Eve worries that he doesn’t eat properly. Sometimes he has trouble remembering words and this makes him feel cross. Eve explains that he sometimes now has short bursts of sudden confusion. She finds this frightening and her children do too, which worries her. Following this discussion with Eve about the pressures on her at the moment and indications of stress causing her physical symptoms, with her agreement the GP has referred Eve for a social care assessment as carer for both her father and her son. 04.02.16 Initial visit by social worker. SW sees Eve on her own at home. SW makes another appointment to continue the assessment at a time when the children are at home to include them in the conversation. 09.02.16 Second visit to Eve and conversation with her children. Carer’s assessment and support plan completed. SW arranges with Geoff that he will have an assessment in the next few weeks. 15.02.16 Paperwork completed. Sent to Eve. Please tell us about any existing support the person you care for already has in place. This could be home care, visits or support from a community, district or community psychiatric nurse, attending any community groups or day centres, attending any training or adult learning courses, or support from friends and neighbours. Please use the space below to tell us about the things you do as a carer (including the emotional and practical support you provide such as personal care, preparing meals, supporting the person you care for to stay safe, motivating and re-assuring them, dealing with their medication and / or their finances). Dad has early stage vascular dementia and numerous health problems relating to a heart attack he had two years ago. He has started to neglect himself at home, and is finding it more and more difficult to carry out daily tasks. He gets confused with cooking or tasks like making a meal. Sometimes Dad has trouble remembering words and this makes him feel cross. On occasion he does experience short bursts of sudden confusion, which can be frightening for other family members. Following a social care assessment, he has a befriending service stop by every week and a homecare team each morning to check he’s ok and supervise his medication. Matt has Crohn’s disease. He is at college studying for his A levels. He is doing well but his illness does interfere with his life and he can get frustrated about this. He wants good grades to be able to become a journalist and move abroad. It is embarrassing for him that he has to frequently rush to the toilet, and occasionally he is incontinent. Matt has regular relapses. This causes him to lose a lot of weight and he has been in hospital three times in the last year and missed college. Remind him about his weekly blood test appointment. Transporting Matt to hospital/GP/nurse appointments. I also look after my daughter Joanne who is 15. Please use the space below to tell us about the impact your caring role has on your life. Like all working mums I have a lot on. As I have had to do more for Dad, it has got more difficult to juggle family chores and work. I want to increase my working hours for financial reasons but I don’t see how I can at the moment, as Dad’s care needs are increasing and I need to be available for him. I’ve had to take some flexible working hours recently to cover last minute changes in arrangements for Dad’s care. I frequently have to take phone calls at work about care arrangements. I am concerned that I won’t be able to keep working and we need the money. I’m worried that Dad isn’t eating properly. The care agency have reported that the medication audit has shown that Dad might have been taking his medication at the wrong times. Dad doesn’t want to talk about longer term planning and making advanced decisions. He does not want any more social care provision in the house. This really worries me particularly as Dad will need more help as time goes on. Also if Dad suddenly needed a lot more help or I was unwell then I am not sure how we would manage. I want Matt to be able to manage his illness better so that he is happier and able to do the things he wants. As I have had to spend more time with Dad and Matt, my daughter Joanne has become more distant. She finds it difficult that we need to work around what Matt needs, for example for meals. Joanne has always been helpful but has become more withdrawn and resentful. She has started to hang around with older teenagers, and I’m worried they might be ‘leading her astray’. She has had a few letters from school mentioning poor attendance and a drop in her grades. I feel like I don’t have time at the moment to be a good mum. I’m having problems with sleeping and feel generally run down, and recently I have had to see the GP about stomach pain and nausea, which she thinks is to do with stress. I feel like I don’t have any time now to just breathe and am withdrawing from normal life. I don’t currently have time to exercise – I used to swim, or to sing in the choir. I’ve also lost contact with friends so I feel quite isolated. What supports me as a carer? Please use the space below to tell us about what helps you in your caring role. I sometimes go on an online carers’ forum at night when everyone else is asleep and that’s quite helpful. 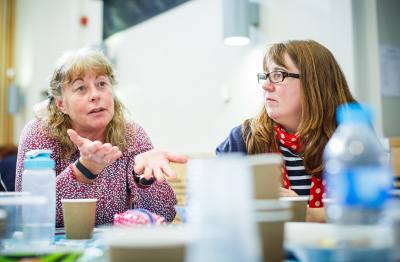 I did try attending a carers’ group but it got me down listening to other people’s problems. Work gives me a bit of a break from caring and my boss has so far been quite supportive with flexible working though I don’t want to push it. Matt’s nurse at the GP surgery has been really helpful with information and support. Matt gets on with her well. Please use the space below to tell us about how you are feeling and if you would like to change anything about your caring role and your life. It’s my choice to care for my family and I want to keep on doing that, and be a good mum and a good daughter. If I knew that Dad was getting the care he needs and that we had a plan for the future then I would manage much better. At the moment I’m feeling stressed and quite overwhelmed. There’s always something else to sort out. I feel like I don’t have anyone to support me. I miss my Mum and worry about whether I’m looking after my Dad as well as she did. I want to know my family is ok. I don’t want to stop looking after my kids and my Dad. I want to be able to manage my different roles at home and at work, and to do things well. I want to have more time with my children and we want more time as a family. I would love to increase my hours at work. I’d like to start swimming and join the choir again. I’d like to see friends sometimes. 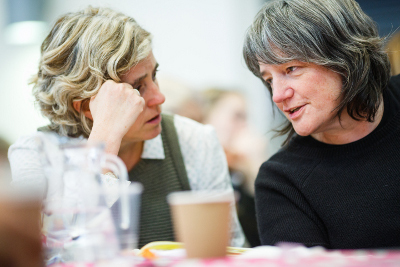 Let us know what advice or information you feel would help you and what sort of support you think would be beneficial to you in your caring role. Someone to talk to Dad about getting the care he needs – particularly to ensure he takes the right medication and that he eats enough. Some help with planning Dad’s care in case there is a crisis, and to plan ahead for what he will need in the future. Someone to check on Dad when I’m at work. A break – just to be free without interruptions. Some back-up so that I am not always on call. Someone to talk to about how to manage all of this. Someone for Joanne to talk to if she wants to. Someone to support Matt to manage his illness so he can achieve his aims. Eve is providing significant support to her father and her two children, one of whom has Crohn’s disease. Eve also works part-time. Eve’s father has some support from home care and a befriending service. Her son has support from health services. 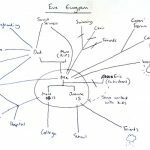 Eve is very organised, and juggles chores and work well. However, she says that she is starting to feel increasingly stressed and this is having an impact on her health. She is also quite isolated and has no time at present to have a break from caring. Eve would like to continue supporting her family and increase her working hours, as well as having some time for her own interests. It is important to Eve that her father remains at home and is safe, and that her children are happy. 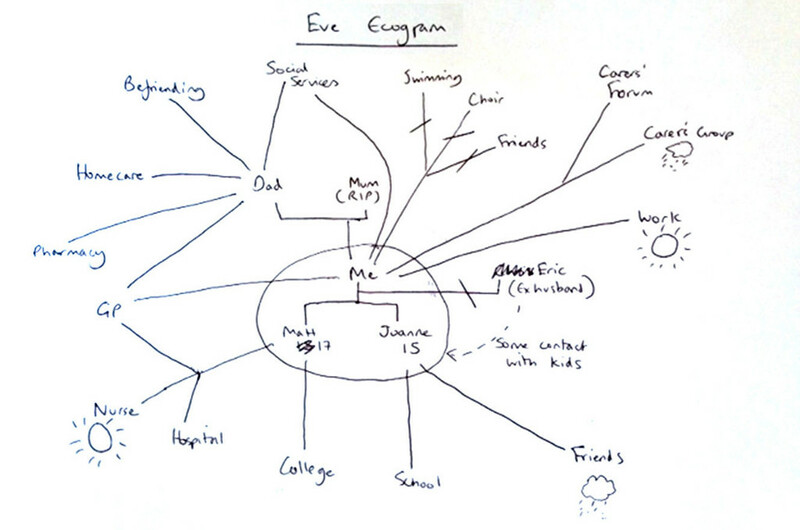 Eve would benefit from support to enable her to manage the demands on her, and to have some time for herself. She would also benefit from some emotional support for her and for her family. This will enable her to continue as a carer and to improve her health and wellbeing. Eve has given consent to share this support plan with Mr Davies. This support plan will link into his assessment. The Care Act places a duty on local authorities to assess adult carers, including parent carers of disabled and other children in need, before the child they care for turns 18, so that they have the information they need to plan for their future. Guidance, advocating a whole family approach, is available to social workers (LGA 2015, SCIE 2015, ADASS/ADCS 2011). Research shows that both emotional and practical support from social workers are valuable, for example when looking at what was valued by the mothers of transition-age children with mental illness (Gerten and Hensley 2014) and by men as caregivers to the elderly (Collins 2014). The whole family approach is a strong theme in the research (LGA 2015) along with relationship based practice (SCIE 2016, Cooper 2015, Wilson et al 2011, Ruch et al 2010). Family group conferencing, along with mediation as whole family approaches, were found to have particular applicability to adult safeguarding social work. (SCIE 2012). Evidence points to the need for social work teams are to have good information about the support available to carers. National materials offer a valuable resource to social workers seeking to research how to work with their clients and their carers which can be supplemented locally and from the active contributions of the ‘online’ community (Young Sam Oh 2015). Research suggests an assets or strengths based approach to social work support with the person and their family and/or network of support. The Manual for good social work practice (DH 2015) uses a timeline as a model that can underpin how the social worker supports and intervenes, from early preventative measures through various stages of loss towards end-of-life. Three critical points on the timeline – diagnosis, taking up active caring and the decline of the person’s capacity – are identified. It is important for social workers to assess the carers needs, sustain the carers own identity, develop and maintain their network of support and resources, and access financial and legal advice. You can use this tool with carers to think about what would support someone to manage work and caring responsibilities. What is this like for me? What can I do about it? This tool is based on research about what helps carers who are working (Carers UK (2015) Caring and isolation in the workplace). 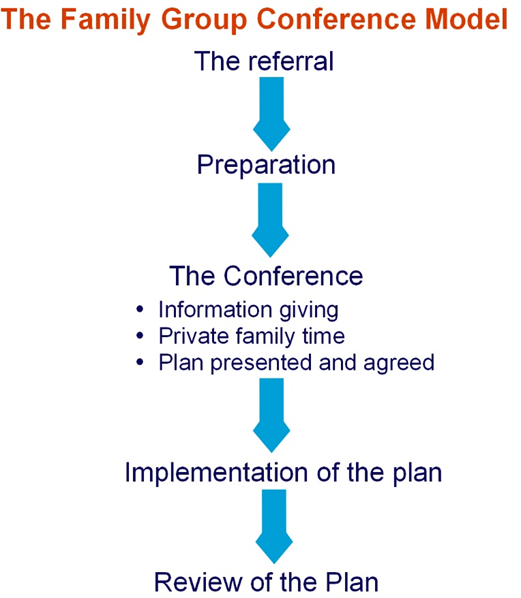 This tool sets out the process for a Family Group Conference. You can use it to plan and hold a conference. Whether or not a family group conference takes place is a decision made by the family. Under no circumstances can a family be made or forced to have a family group conference. Once a referral for a family group conference is made, there will need to be a co-ordinator to liaise with the family. The co-ordinator helps the family to plan the meeting and chair the meeting. The co-ordinator is different from the referrer and acts as a neutral person. The co-ordinator will not influence the family to make a particular decision but will help them to think about the decisions that need to be made. Families should be offered the opportunity to request a co-ordinator who suitably reflects their ethnicity, language, religion or gender, and the family’s request should be accommodated wherever possible. The co-ordinator organises the meeting in conjunction with the family members and other members of the network. This can include close friends. 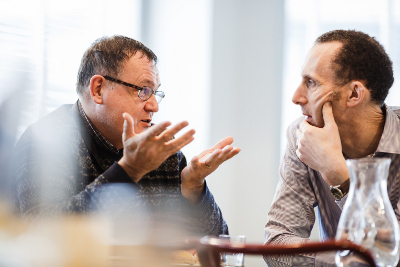 The co-ordinator discusses with the person with care and support needs how they can be helped to participate in the conference and whether they would like a supporter or advocate at the meeting . The supporter/advocate will then meet with them in preparation for the meeting. The co-ordinator meets with members of the family network, discusses worries or concerns, including how the family group conference will be conducted, and encourages them to attend. the wellbeing concerns which need to be considered at the family group conference. This includes identifying any bottom line about what can, and, importantly, cannot be agreed as part of the plan from the agency’s perspective. The co-ordinator negotiates the date, time and venue for the conference, sends out invitations and makes the necessary practical arrangements. The family group conference follows three distinct stages. what action will be taken if the family cannot make a plan or the plan is not agreed. The family members may also provide information, ask for clarification or raise questions. Agency staff and the co-ordinator are not present during this part of the conference. Family members have time to talk among themselves and come up with a plan that addresses concerns raised. They will identify resources and support which are required from agencies, as well as within the family, to make the plan work. When the family has made their plan, the referrer and the co-ordinator meet with the family to discuss and agree the plan including resources. It is the referrer’s responsibility to agree the plan of action and it is important that this happens on the day of the conference. It should be presumed that the plan must be agreed unless it puts anyone at risk of significant harm. Any reasons for not accepting the plan must be made clear immediately and the family should be given the opportunity to respond to the concerns and change or add to the plan. It is important to ensure that everyone involved has a clear understanding of what is decided and that their views are understood. Resources are discussed and agreed with the agency concerned, and it is important that, at this point, timescales and names of those responsible for any tasks are clarified. Contingency plans, monitoring arrangements and how to review the plan also need to be agreed. The co-ordinator should distribute the plan to family members involved and to the social worker and other information givers/relevant professionals. It is essential that everybody involved implements their parts of the plan within agreed timescales and communicate and addresses any problems that arise. There should be a clear process for reviewing the implementation of the plan. A review family group conference or other meeting should be offered to the family so they can consider how the plan is working, and to make adjustments or change the plan if necessary. This tool highlights the ethical issues of using assistive technology. You can use it to consider when assistive technology would be beneficial for someone, and to reflect on the benefits and drawbacks of it more generally. Autonomy – the ability of an individual to make choices AT can drastically promote or restrict autonomy. Beneficience – the principle of working for the benefit of the individual AT has the potential to benefit people. Non-maleficence – the principle of doing no harm While AT can benefit an individual, it also has the potential to expose people to risk. A balance must be achieved between ensuring safety and invading privacy. The potentially stigmatising effect of telecare should be recognised and minimised. Justice – the moral obligation to act on a fair adjudication between conflicting claims In the interests of justice, resources for telecare services should be allocated so as to balance the needs of the individual with those of the wider community. 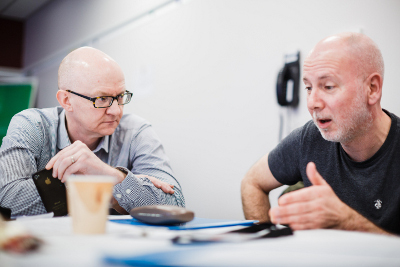 What are the ethical issues about using assistive technology (AT) to support carers?